Product categories of Laser For Confocal Scanning Microscopy, we are specialized manufacturers from China, Laser for Confocal Scanning Microscopy, Green Laser for Microscopy suppliers/factory, wholesale high-quality products of Laser Microscope R & D and manufacturing, we have the perfect after-sales service and technical support. Look forward to your cooperation! Confocal Laser Scanning Microscopy (CLSM) consists of confocal microscopy, laser and data acquisition system. 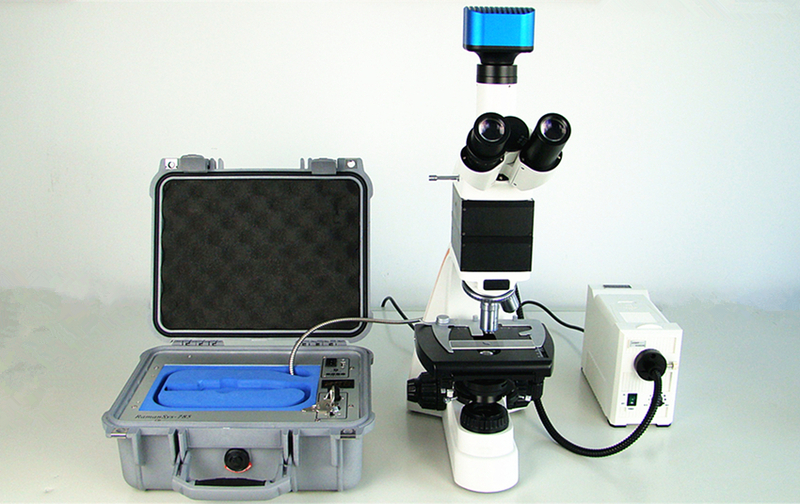 It is a combination of the optical microscope, the modern laser technology, Raman detection technology, scanning control technology, computer image processing technique and fluorescence labeling technique. Its application and research field include the observation of life living cell structure and specific molecular, Ion biological changes, pharmacology, genetics, spectroscopy and related subjects. Specific applications such as: stochastic optical reconstruction microscopy(STORM), fluorescence lifetime-transient scanning(FLITS), fluoresence recover after photobleaching(FRAP), stimulated emission depletion(STED)etc. ■ CNI self-developed high reliability lasers. User requirements can be realized. ■ System is stable and reliable. Customized solution can be provided upon request. 515 nm, 520 nm, 532 nm, 556 nm, 561 nm, 589 nm, 593 nm, 633 nm, 637 nm.640 nm, 671 nm. laser available; Multi-wavelengths laser systems also available; New laser-wavelength can be customized.